Reserve tickets through Fractured Atlas now! On the Fens, work is a way of life. Labor is passed down from generation to generation. Numbed by the cyclical nature inherent in managing the day to day, a community of working women have no time to look beyond the fields. But when Val, a young mother of two, decides to leave her family for her lover, her impulsion runs smack into obligation. It's hard to start a new life without leaving the village. There's always another job to be done. There is barely enough money to live. There are children to raise. It does not take long for the bonds of motherhood to bring Val back to the fields. She comes to understand that there is no escaping the Fen. It is both a comfort and a curse. 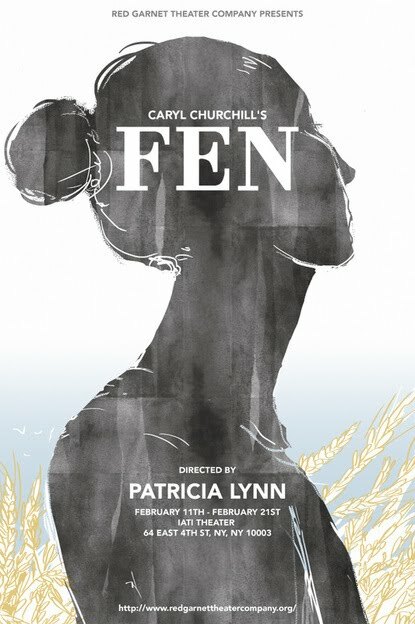 In a world where roles are fixed and choices are few, Fen follows the interweaving lives of different generations of women, and questions our sense of entitlement as to what life should give us. If you'd like to be kept aware of upcoming events please email info@tinlily.org.